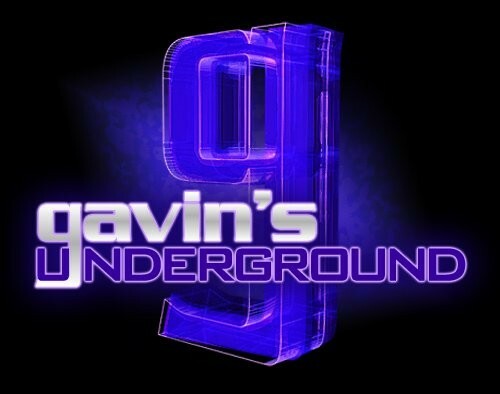 Gavin: Hey Jeff, first off, tell us a bit about yourself. Jeff: I was born and raised in Farmington. I grew up skateboarding, riding bikes and playing drums in a punk rock band. I went to college at the U and graduated from Weber State. I met my outdoor adventurous wife, Nikki, at school. We now live in Bountiful and have a one-year-old daughter. We spend much of our free time (if we can find any) traveling, dreaming of and going on bike trips, mountain biking and enjoying Bear Lake. 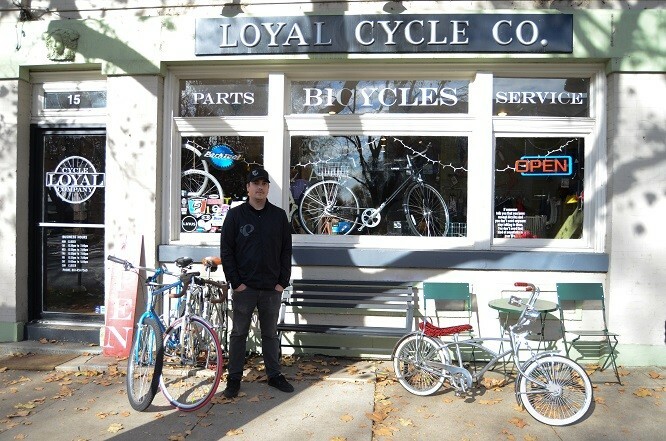 Together as a family we own and operate Loyal Cycle Co.
What first got you interested in cycling as you were growing up? My biggest influence in cycling would be my dad. He always had cool bikes to look at, and made cycling an important part of growing up. 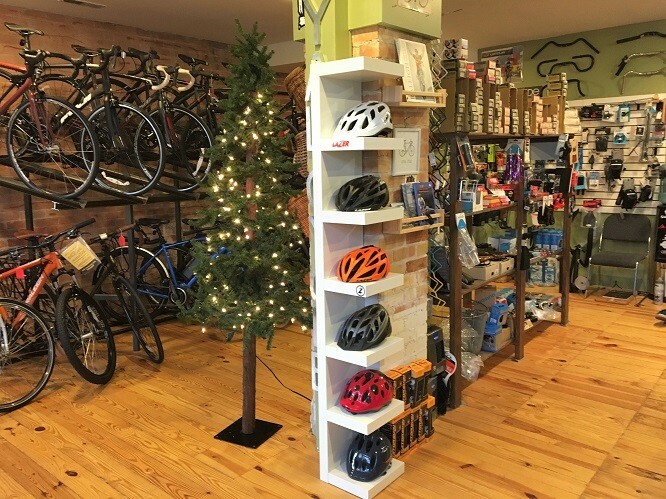 We would spend lots of time at different bike shops and dream about our next bicycle. One particular experience that really ingrained my love of bicycles is when I was 12. I would dream about low-rider bikes, I am not even sure how I even discovered low-rider bikes. I was in small town Utah but they really stood out to me. My dad and I would visit Rose Park Schwinn often, which was one of the only shops dedicated to low-rider bikes. I found a bike that would work for the build at another shop, and over the next little bit, we pieced together my dream bike. I still have that bike after 22 years. It sits in the shop. I still get stoked every time I see it. That project taught me to love bicycle mechanics. I loved to learn how each part went together and how to make bicycles run efficiently. Beyond that, there have been many hours of cops and robbers in the neighborhood, mountain bike rides on the shoreline above my house, rides out to the Farmington Bird Refuge and trips to Moab. What were some of your favorite bikes you've owned over the years? I have a big problem with never getting rid of bikes, so I still own most of my favorite bikes. A few favorites would first off be my Surly Pacer. It is my go-to bike. I use if for getting to work, recreational riding, mini touring, gravel riding, grocery shopping, pretty much everything. It’s not the fanciest or the fastest bike; it’s just a great riding bike. Another stand out would be my first BMX bike. I worked over the summer for my grandma and saved up money, and was able to purchase that. It was a great feeling spending hard-earned cash on a bicycle. One last bike would be my dad’s old mountain bike. I never was tall enough as a kid to ride it, and then when I was I had other bikes I enjoyed riding and forgot about it. A few years ago, I decided to turn that into a really great commuter/city bike. Stripped it down, had it powder coated, added a bunch of new parts and it rides like a dream. It’s hard to ride that bike without smiling. That one lives at the shop for quick rides to the gas station for treats and a drink. Prior to the shop, what kind of work had you been doing around the state? I have spent most of my adult life working for Smith Hyatt Architects as a draftsman. That was a great experience. I really learned what it was like to have a great boss and great co-workers. I would have stayed with them longer, but the urge to go out on my own venture always existed. Beyond that, I did years of lawn care, worked at my dad’s clothing store, and a few other odd jobs. What influenced you to start your own shop? And why Loyal Cycle as the name? Growing up in a family that owned and operated retail stores, retail was an avenue that felt like home to me. Most people shy away from that type of work, but I really get inspired by the customers I am able to work with. I really wanted to share cycling with the community in a different way. I am not a racer, an amazing athlete or super-fast. I am just a pretty average guy. I also really love the mechanical side of bicycles. I knew I could have a shop that was inclusive of all types of people and provided service that was top-notch. Many people feel like you need to be in an exclusive club to get good service, but everyone is welcome at Loyal. Everyone has a story, and it’s great to see all the many different types of people that enjoy cycling. The name Loyal came from a family crest. Our last name is Hepworth. On the traditional family crest from the clans in England, the motto is “Loyal au Mort” or Loyal until Death. I love that motto; I thought it had a place in the cycling community and it fits our way of doing business as well. Did you open the shop in Farmington more because it was close, or because the city needed one? I have always been attracted to Farmington. It’s a great community, lots of cyclists, lots of cycling paths, many commuters and it is kind of an Island away from shops. Our shop gives a local option that has been appreciated. I do also like that it is close and only a 30-minute bicycle ride from my house, 25 with a tailwind. What was it like getting the shop together and getting an inventory to start with? When we were setting things up, we tried to do things as inexpensively and simply as possible. My wife and I built the fixtures or repurposed furniture for our displays. Our inventory grew over the first few months of being open. Those customers who first entered our store were often wondering where the inventory was. We started this way hoping that customers would be patient as we learned what the area was in need of. We also didn’t want to start the shop with lots of debt. Many of our suppliers have such fast shipping that it gave us a chance to grow slowly while still providing customers with what they needed. We still do lots of special orders, but we have pretty much all the basic needs in stock. What were the first couple years like of having the shop open and getting to know the community? When we first opened, I was still working at the architect’s office. The shop was open in the evening hours and on Saturday, a total of 14 hours a week. 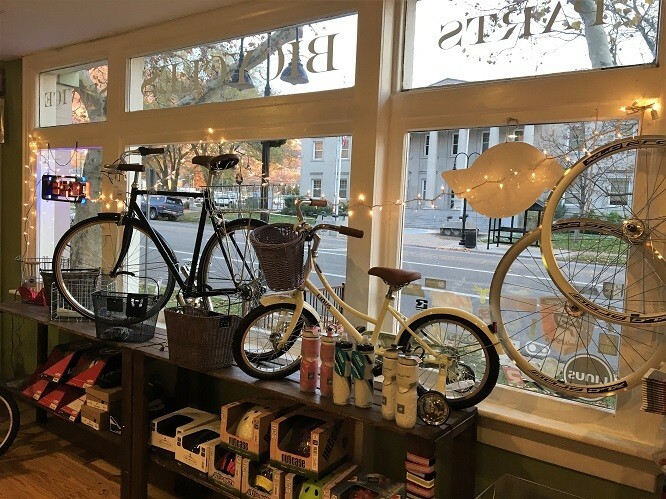 I would hop on my bike at the architect’s office in Bountiful, pedal to Farmington, open up shop and try and get as much done as possible in two hours. Ride home and repeat the next day. This lasted for a little over a year, and then we decided we needed to devote more time to the shop as it continued to grow. I quit my drafting job and started at the shop full time. The community seems to really enjoy what we were doing. They have been so supportive and we try and give back as much as we can. We really couldn’t ask for better customers. 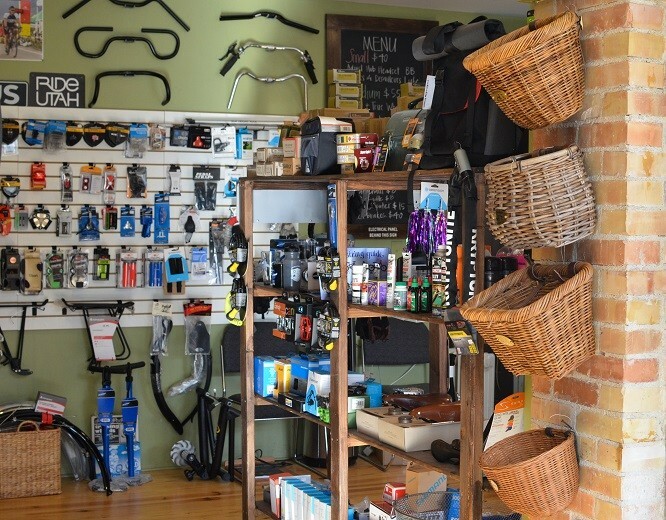 How do you go about choosing the kind of products and bikes you keep in the shop? We grew our inventory rather slowly at first. We had an idea of what we wanted to carry and a few ideas we wanted to share but lots of the choices came from customer input. As items were requested, we would bring those in and keep in stock. 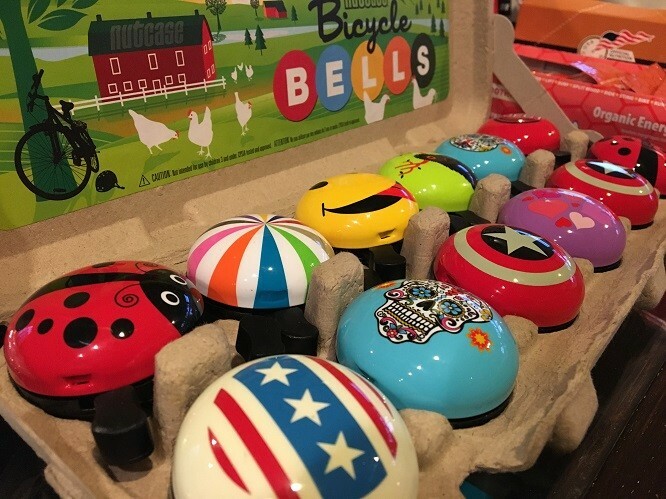 We also do our best to stay up with the current cycling trends and visit some of the many cycling and outdoor trade shows around the country. What's your relationship been like with the cycling communities between SLC and Ogden like? The cycling communities in Utah are awesome. 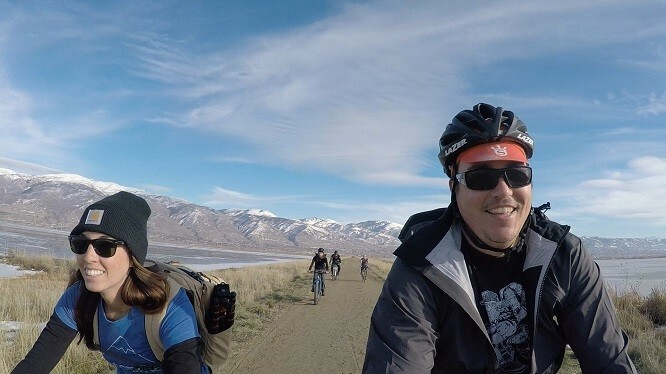 In Davis County, we do a lot with the locals in many different types of riding. 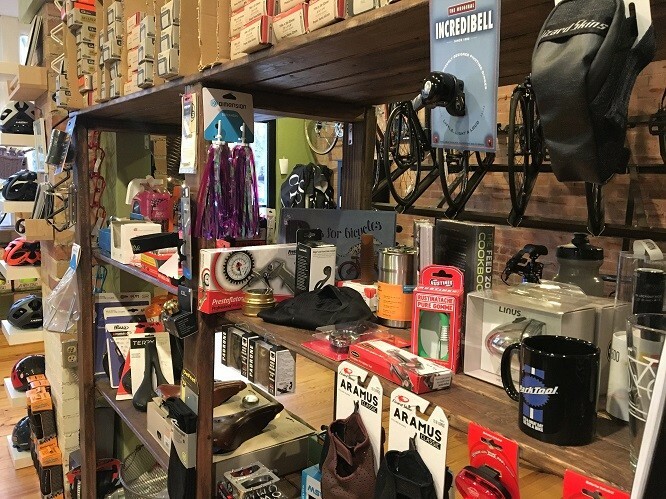 We have enjoyed sponsoring local crit races, sponsor and help support the high school and junior high school mountain biking teams, put on group rides which are more adventure oriented, Alley Cats, mountain bike rides, #coffeeoutside and repair clinics. We try to help the community as much as possible, and love spending time with those who have a passion for two wheels and those just starting out. Do you have any plans down the road of expanding the shop or implementing new additions? Or are things going well as they are? We love our location. The building we are in was built in the 1800s. It has lots of great character. It is small, but we get really good at playing Tetris. It would be great to have more space but being in a heart of small town Farmington and being able to serve all the locals has its benefits. We would love to purchase the building and expand upstairs and out the back. For now, we will keep shuffling things around. What can we expect from you and Loyal Cycle Co. going into 2017? We are excited about 2017. Spending time on bicycles and helping others enjoy cycling is always our number one goal. 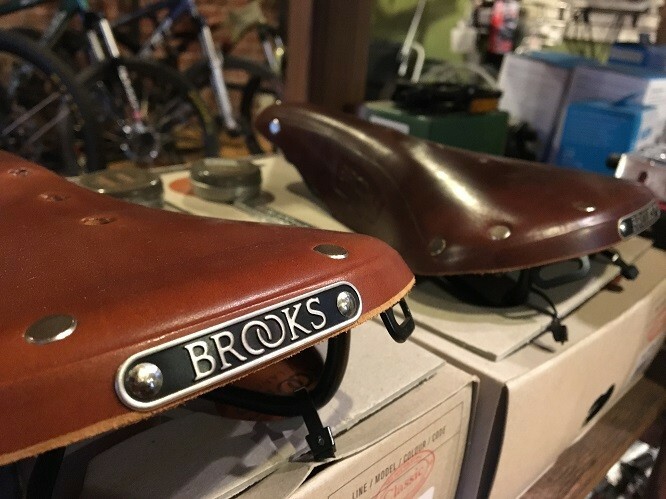 I have been studying bicycling fitting, and starting in the next couple months we will be offering professional quality bike fits for anyone looking for more comfort or a more efficient ride. We have a few custom builds coming down the pipeline which will be lots of fun. As for me, I am planning a cycling tour headed south in the west desert of Utah. I will pepper in a few bike packing overnights and continue on with commuting by bike. For the most up to date happenings in Loyal Cycle world follow our Facebook page and Instagram.